InnoMed Dental runs on Windows, Linux and Mac OS. Hammas – Practice Management Software for Dentists. Hammas is a complete software solution that helps to improve business productivity and quality of care through thought-out, user-friendly design and innovative technology. Hammas is seamless, intuitive and easy to use. All information is stored and backed up in very secure data centers. Creating solutions through innovation and new concepts. Hammas helps to improve productivity and reduce expenses. We are also AudaxCeph orthodontic software reseller in Estonia. 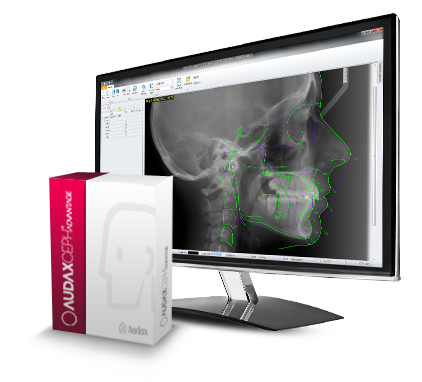 AudaxCeph is an integrated orthodontic software suite. An orthodontist can find the most easy to use yet sophisticated tools to manage patient orthodontic data, create deliverables. All changes in one module ripple through the system because of built-in associativity of the database. It is a wonderful tool for every day routine use, but also for research and treatment planning of most difficult cases.